After the Helsinki Summit, it feels like the whole world is seeing the field of interpretation for the first time. 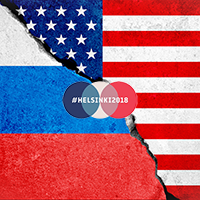 Everyone has eyes on one interpreter, the only person apart from President Trump and President Putin who knows what was said in their private meeting at the 2018 Russia-United States summit that took place in Helsinki, Finland. This person knows what these two leaders said to each other in that private meeting, when they were at their most candid, their most honest. She heard this conversation only because communication between the two presidents couldn’t have happened without her. (Interpretation is so astonishing sometimes.) Now, congress is talking about the possibility of issuing her a subpoena to testify about that meeting. The interpretation community has responded in a big way, issuing statements about this unprecedented event, saying that no interpreter should ever be compelled to testify. Argument 1: Interpreter Confidentiality – Is it in jeopardy? S: Here’s what I think: I think her testimony jeopardizes the field of interpretation. Because without confidentiality, conversations conducted through an interpreter will fundamentally change. When confidentiality goes away, trust is lost, so the authenticity of the conversation is lost too. I think this could do irreparable damage to how world leaders speak to each other. K: I think there’s nuance here that we’re missing. Compelling this one interpreter to testify doesn’t mean that confidentiality goes out the window. It’s true that this would set a precedent, but it wouldn’t mean that confidentiality would then be completely eliminated from our ethical principles. Even if this interpreter did testify, it wouldn’t mean that every interpreter would suddenly start sharing freely about the things they’ve heard. She’s not being compelled to testify just because. This is a very extreme case, with evidence that already exists that supports the decision to subpoena her. Plus, there are situations in interpreting where we DO break confidentiality because it’s needed, like in mandated reporting. When we suspect or hear evidence of abuse, we are required by law to let someone know, and let due process take over. S: I see what you’re saying. But even if confidentiality doesn’t suddenly disappear, what if the end result of this is just that the public perceives confidentiality to be compromised? And as a result, world leaders feel that they can’t speak candidly to each other through interpreters? Don’t you think they will start speaking to each other differently if they’re worried their conversations might be made public later? K: But why is that a problem? Leadership is a job. When leaders – even world leaders – talk to each other, they are essentially at work, and there are responsibilities and expectations that come with that. A leader’s work should be done with the best interests of the people they lead in mind. When politicians are having work conversations, even if those conversations are in private, they should still be accountable to their people. If there’s reason to think that they aren’t acting in their people’s best interests, then doesn’t it make sense to use information that’s available to find out whether or not that’s the case? In any large organization with a hierarchy, everyone’s work is audited, supervised, judged. And when it comes to the post of president, though it is the position of highest authority in our country, there is still supervision. Checks and balances are fundamental to the structure of our government, and they serve to limit the president’s power; to hold him (or her?) accountable to the responsibilities of their job. So it falls in line with the ethics of our country to hold our leadership accountable. I can’t believe I’m going to say this but… I think I do actually think she should be subpoenaed. S: Yeah, but here’s the thing- I think that world leaders often have to make difficult decisions with the best interest of their people in mind. I’m not necessarily saying that I think that’s what’s happening in this case, but I wonder if in the future, other leaders who need to make unpopular decisions with a different goal in mind might be affected by their fear that their conversations will be made public later. And then there’s a breakdown in communication between world leaders. That is what I think is at stake. Does that make sense? K: Yeah, I mean I think it does. But again, just because one interpreter is brought into the limelight to testify because we’re in an extreme situation doesn’t mean that confidentiality is bust for the whole field. S: But we can agree that it sets a dangerous precedent, right? As far as I know, no interpreter has ever been compelled to testify for or against a world leader. And this would be a definitive step away from impartiality, which is something that defines us. I would hate for less-seasoned interpreters to see this as an example, and then start to violate confidentiality based off their own morality. Do you think that interpreters are equipped to decide what should be revealed and what should be kept confidential? Where’s that line? K: Ok, but the interpreter isn’t the one making the choice here about whether or not to report the conversation, or even what to report. If she’s subpoenaed, she’ll be asked to give evidence, and essentially just report. She’s not the one making any judgments. So I don’t think there is necessarily a line to draw here. S: That’s true. I hadn’t thought about it that way. So let’s say she actually does take the stand- We haven’t even talked about what her testimony may actually sound like. I’ve heard a lot of interpreters saying that she won’t be able to remember exactly what was said in that meeting. And I half agree, and half disagree with this point. In a courtroom setting, she’d probably be asked detailed questions about specific wording. I know that I wouldn’t be able to remember details like that. But I also know that whenever I do an interpretation where emotions are running high, I can remember what was discussed pretty clearly. So she may be able to remember the content of the conversation, but not exact phrasing. If they want details on specific wording, it’s possible that she takes the stand and answers “I don’t recall” to every question. K: Right, I see what you’re saying. If I think about my own memory, and encounters I’ve had, there are definitely sentences that I remember verbatim when it’s been really traumatic. And this situation might have been one of those very emotionally heightened conversations for the interpreter. But it makes sense to say that she could be like any other witness who may or may not remember exactly how something was said. S: Regardless of what she might say, the crux of my fear around this story is that her just taking the stand could damage the public’s view of the credibility of our profession and what we offer to the world. If we lose this credibility, then we lose our place at the table, which means the loss of clear communication between the most powerful people in the world. If we’re not providing this service, it could cause disastrous international miscommunication, that could have devastating ramifications on the ground. Do you think that sounds like an exaggeration? Am I overreacting? K: I definitely hear what you’re saying, but I do think you’re taking it to the extreme. If world leaders did lose confidence in interpreters in general, I agree that that has the potential to be devastating. But I think, again, that there’s some nuances that come into play here that mean that won’t necessarily be the case. I don’t think the field will be irreversibly affected by this one event. In the end, here are the conclusions we came to. My position is this: I think, as interpreters we are very protective of our ethics because it feels as though the actions of one of us represent all of us. This one very public, very contentious event feels like it could have a ripple effect that could affect all of us, which is one reason why the interpretation community has responded so adamantly in solidarity with this interpreter. Kate’s position is (admittedly) more measured, and perhaps less popular. Her opinion is that this event represents only itself. That this is an isolated, rare case, and that we should look at what’s happening within the context of the greater story, which is this federal investigation. While we did not come to a satisfying conclusion like, “We agree that she should definitely be subpoenaed” or “We agree that she should definitely not be subpoenaed,” we felt that the conversation was still valuable. Even though we disagreed, talking it through together helped us develop our opinions, and because we disagreed with each other, the opinions we ended up with are broader than they would have been if we’d thought through the issues on our own. We sharpen each other.